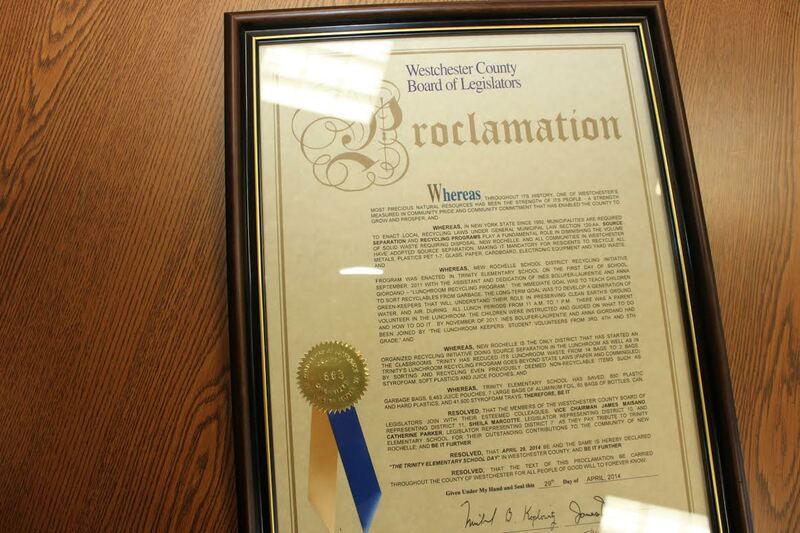 On April 29th, 2014 New Rochelle’s Trinity School was publicly awarded a Westchester County Proclamation, signed by Legislator James Maisano, Legislator Sheila Marcotte, and Legislator Catherine Parker. This is a wonderful recognition of the schools never faltering efforts to bring sustainability to the district through consistent teaching and doing. This award is long in the making. 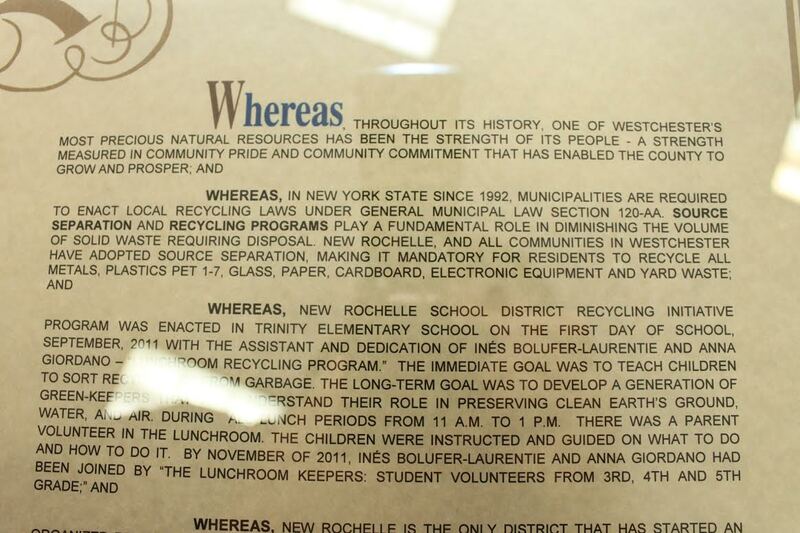 In September of 2011, Anna Giordano brought the school lunch recycling program to the administration and the PTA, then under the leadership of Ines Bolufer-Laurentie, tirelessly implemented it. The PTA spent countless lunches teaching the children and thus creating a culture of environmental awakening. 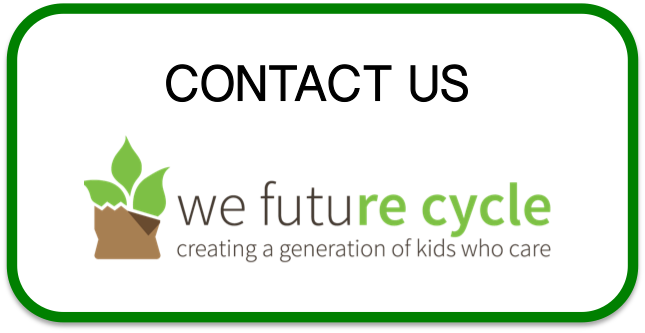 The School Lunch Recycling Program is very simple, instead of teaching the children to “just throw out your garbage” after lunch, they are taught to separate their lunchroom waste into different recyclable categories. This process reduces and condenses the amount tremendously. Once all the recyclable packaging, compostable food left overs and left over liquids are sorted out, there is actually very little, that does not fall into these categories. Trinity was not the only school to implement the program in September of 2011, but it was the only one, where the school administration persevered despite of the total lack of support from Central Administration, foremost the Director of Facilities. 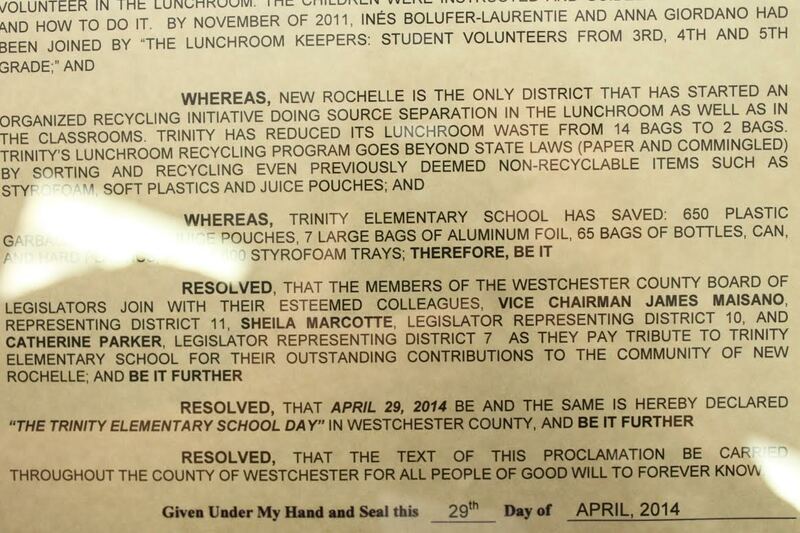 Fortunately, Central Administration under the leadership of Dr. Jeffrey Korostoff is now fully supporting the program and New Rochelle is looking to have all of its schools fully converted to source separation and compostable trays by September of 2014. This could not have been accomplished if it had not been for the unwavering determination of the Trinity Administration Anthony DiCarlo and Inas MorsiHogans. I applaud them both. This proclamation is well deserved. We here in Ossining have also benefitted greatly from Anna Giordano’s Guidance and Coaching! Here too we have terrific support from the Superintendent, teachers, and custodial staff, not to mention during the roll-out phase, parent volunteers, and of course the students themselves! Still tweaking things, but on the path!